First impressions count! We offer expert office & commercial cleaning in Bristol and North Somerset. Reliable, thorough, and economical. Call us now on 0117 3250 883 for a free no-obligation quotation. 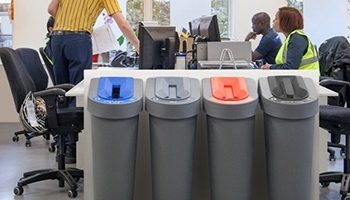 Whether you need a one-off deep clean, daily office cleaning, monthly cleans or a specialist clean, we have a comprehensive range of commercial office cleaning services available in the Bristol area and North Somerset. Create your own tailored corporate cleaning package to ensure that your office environment remains fresh, healthy and safe. With your own dedicated contract manager, you can be sure that all of your cleaning tasks will be adeptly managed. 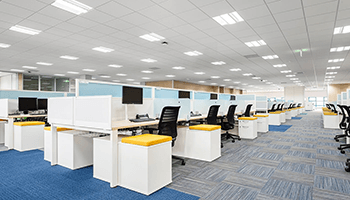 Our full range of commercial and office cleaning covers everything needed to maintain a professional and inviting office space. From surface dusting to window cleaning, floors, WC cleaning, and waste bin emptying, we have you covered. 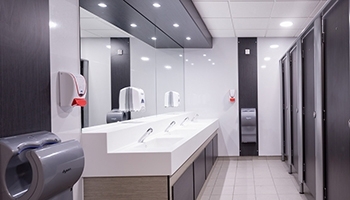 We’ll also take care of replenishing washroom essentials, locking up, setting the alarm; we are able to deliver all services an office or commercial premises may require. Having carried out commercial office cleaning across and around Bristol and North Somerset for well over a decade, our attention to detail and reputation for delivering a personalised, high-quality service has ensured many new clients become long-term customers. 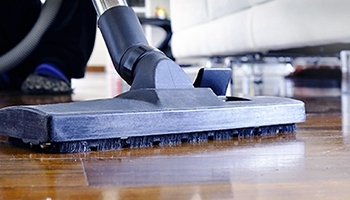 What’s Included In Our Office Cleaning Packages? As part of our office and commercial cleaning contracts we also provide washroom consumables replenishment, carpet and window cleaning. The commitment and professionalism of our commercial cleaning experts is a great source of pride for our company, and we are delighted our staff have remained with us long term. As we know our staff, we can be certain they always adhere to a strict high standard and can guarantee we’ll only send experienced cleaning staff who are knowledgeable, courteous and well-trained to complete a job. All staff arrive at assignments wearing a smart company uniform. Quality standards are carefully monitored by each client’s personal contract manager to make sure our service remains of the highest quality. Our aim is to be as environmentally friendly as possible, so we use environmentally safe cleaning products, techniques, and equipment. Whether you are a business, organisation or charity in Bristol, North Somerset or the surrounding areas, contact us today. From office cleaning to school cleaning, university cleaning, restaurant cleaning, gyms and NHS cleaning, we are able to cater for any commercial cleaning requirements. Book your commercial office cleaning service with us today for a personalised corporate clean-up that delivers exactly what you need. Or give us a call on 0117 3250 883 to discuss your commercial cleaning requirements in more detail. Light & Airey Cleaning Servcies Ltd. Registered Office: 52 Easton Business Centre, Felix Road, Easton, Bristol, BS5 0HE. United Kingdom. Registration Number: 9912078. Registered in England and Wales. © Copyright 2019 All Rights Reserved. Designed By The Search Equation.